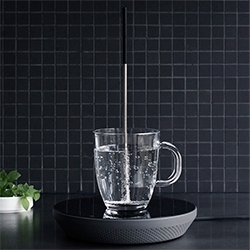 Miito, a kettle alternative that heats your water right in the mug (or whatever vessel you are using). 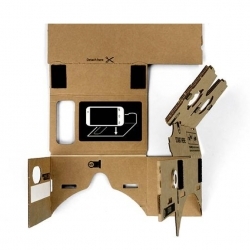 Cardboard, a no-frills enclosure that transforms a phone into a basic virtual reality headset. 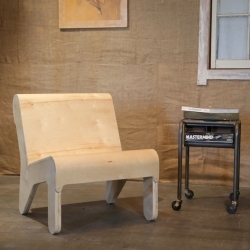 DIY Bent Plywood Chair based on the Barcelona Pavilion Chair by designer Jonathan Odom. 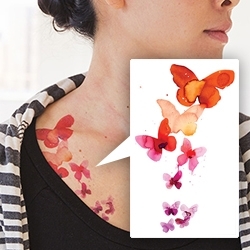 See how to make your own. 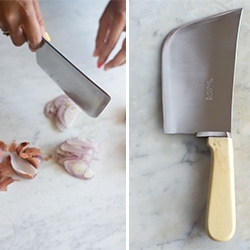 Pallarès Solsona Cleaver - Boxwood handle & Stainless Steel. Crafted by Pallarès-Solsona in Solsona, Spain. 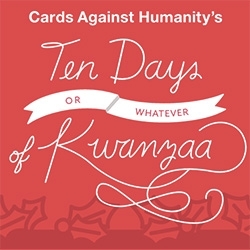 An QUITOKEETO exclusive. Bush Smarts Coffee Kit. 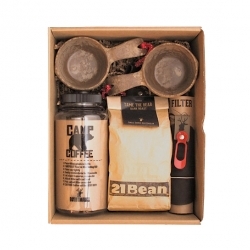 A simple gift kit for brewing cowboy-style coffee in the backcountry. Beans included are roasted 3-5 days prior to shipping. 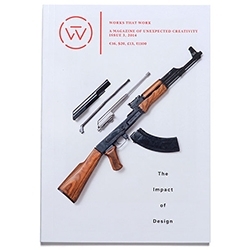 Works That Work: Magazine of Unexpected Creativity. 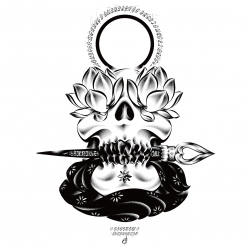 Beautiful Black and White 8x10" print by Japanese master calligrapher and illustrator, Usugrow FREE with any purchase at Upper Playground. While supplies last. 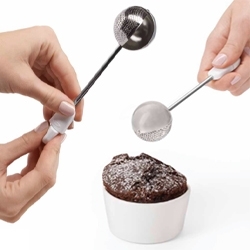 OXO Baker's Dusting Wand - twist to open, fill it, close it, and shake away! 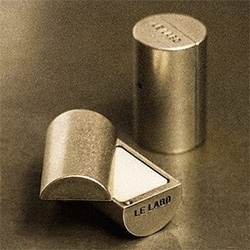 Perfect for powdered sugar, cocoa powder, and more. 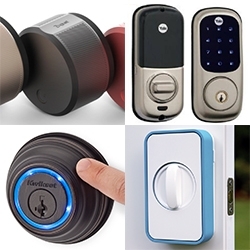 Schuyler Towne on the Current State of Smart Locks - how secure are they, how well they work, and how easy are they to break into. 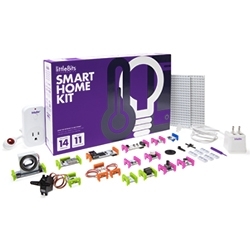 littleBits Electronics launches the Smart Home Kit which can turn any household object into an internet-connected device. 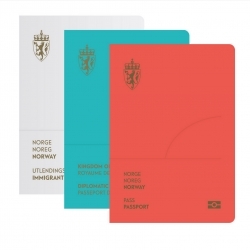 The set contains 14 modules and 11 accessories. 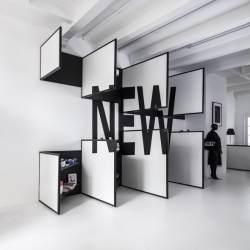 Following a successful run as a pop-up shop earlier this year, the award-winning Frame Store has moved to its second location in Amsterdam. 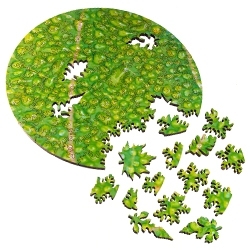 Custom wood jigsaw puzzles from Nervous System made from your art by algorithms and lasers. 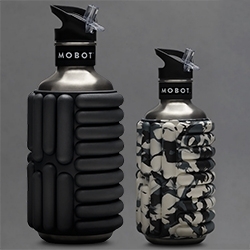 MOBOT - foam roller stainless steel water bottle. In 40oz and 18oz. 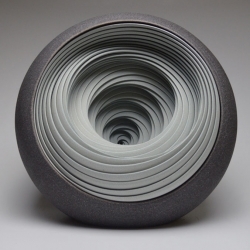 Intricate ceramic sculptures by Matthew Chambers. 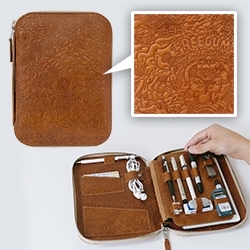 LA Based artist Freegums collaborated with leather goods maker THIS IS GROUND on a one of kind Mod kit created specifically with illustrators in mind. OXO Poultry Lifter - a much easier solution to moving a hot, heavy bird out of the pot or oven. 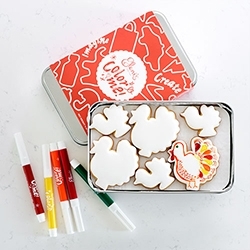 Color Me Thanksgiving Cookies - flooded with smooth royal icing, you can decorate them yourself with edible markers. Fleurings designed by Samantha Lockwood! 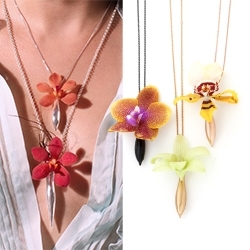 Lovely necklaces, earrings, and hair pieces that hold fresh flowers. 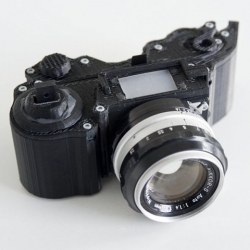 The OpenReflex is an Open-Source 3D printed analog camera with a finger activated mechanic shutter, and compatible with any photographic lens thanks to a custom mount ring. 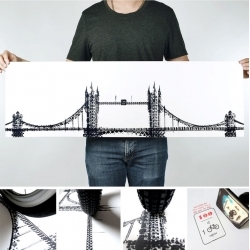 Created and designed by french artist Léo Marius. 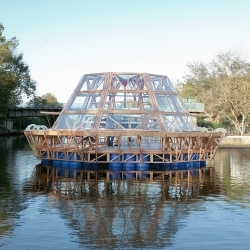 Designed by the architects Antonio Girardi and Cristiana Favretto, Jellyfish Barge is a floating agricultural greenhouse producing food without consuming land, fresh water or energy. 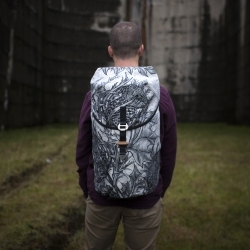 Alite x Boreas Collab Pack! Beautiful combination of weatherproof wax canvas from Alite comes together with a Boreas Super-Tramp Suspension System. 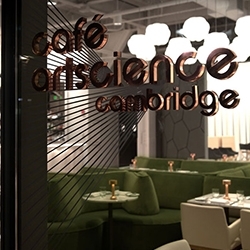 Strategically positioned between Harvard and MIT, Café ArtScience designed by Mathieu Lehanneur opens its doors. Top dog? 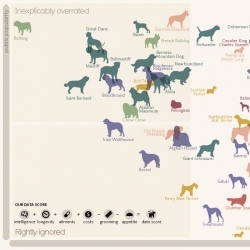 Dog breeds compared by intelligence, longevity, ailments, costs, grooming and appetite. All compared to their popularity. 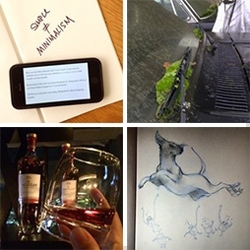 Interesting visualisation from Miriam Quick, Andrew Park and David McCandless. 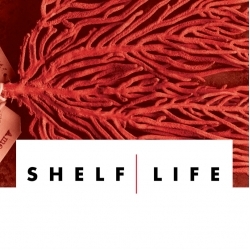 Shelf Life from the American Museum of Natural History. The first episode offers a look at the 33 million things inside the museum! 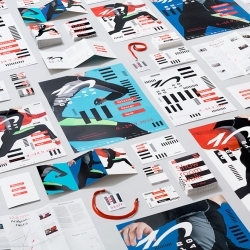 Helsinki Design Week turns 10 and celebrates with visual identity from Kokoro & Moi. 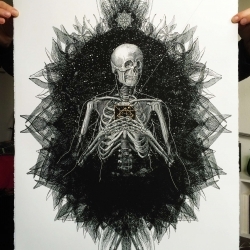 The Fabrica, and its companion piece the Epitome by Andreas Vesalius are nearly 500 years old but their veins and organs remain intact thanks to strengthening by old manuscripts beneath. 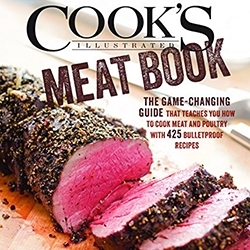 Cook's Illustrated MEAT BOOK! A fantastic mix of everything you need to know... from what different cuts and labels mean, tools, recipes, and most importantly - the science behind it all to get your meaty intuition down. 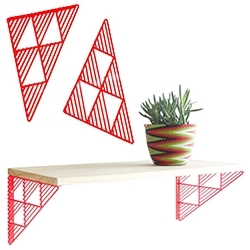 Bend Good's Triangle Brackets for a fun pop of color with your shelf! 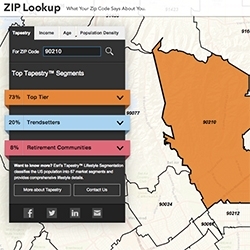 ESRI's Zip Lookup - put in a US zip code to explore demographic data and more. Nice UI. 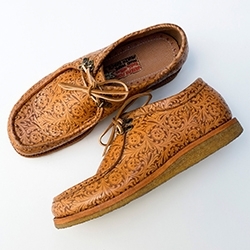 Upper Playground x Al's Attire Jeremy Fish Moc Toe Shoes. The pattern is laser etched on premium cowhide. 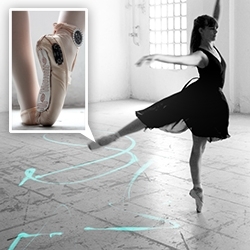 Ledia Trubat's E-Traces project uses Lilypad Arduino tech on ballet shoes to capture dance movements and transforming them into visual sensations. 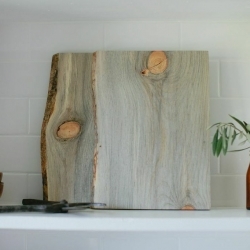 The Rustic Bread Board | Beetle Kill Pine - These beautiful breadboards are hand crafted from dead-standing beetle kill pine trees in the American Rocky Mountains. The unique blue color in the grain is the characteristic mark left by the beetle. 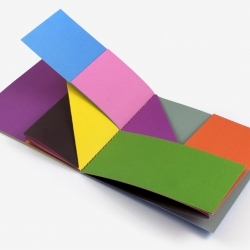 Colors, a book designed by Graphic Artist Antonio Ladrillo thats stares into Bruno Munari's soul. Makerbot & Martha Stewart - a smart partnership between the two resulting in special edition PLA colors and purchasable 3D print designs. 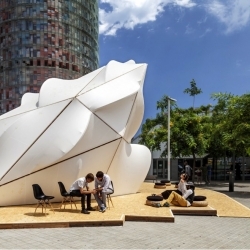 The making of Margen-Lab's Endesa World Fab Condenser: a parametric, digitally fabricated bio-climatic dome at the FAB10 Congress in Barcelona! 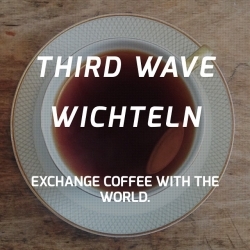 Third Wave Wichteln - This year the 'International Secret Santa Coffee Exchange' is happening again. It's easy: share a package of local third wave coffee and receive a package in return. 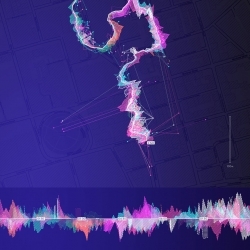 Phantom Terrains, an experimental platform which aims to answer this question by translating the characteristics of wireless networks into sound. 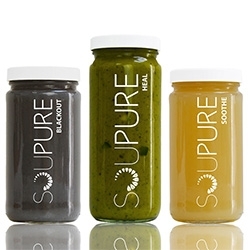 Project from Frank Swain and Daniel Jones with visualizations by Stefanie Posavec. 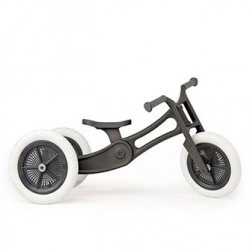 The Wishbone bike now comes in a recycled edition, made from pre-loved, residential carpet. 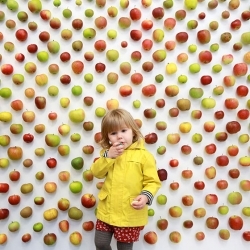 The Real Apple Store opens in London's Borough Market in celebration of Apple Day. 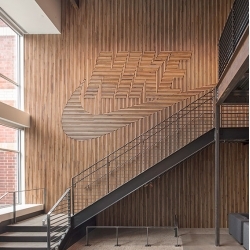 A wooden Nike feature wally by Fieldwork made from salvaged maple gym flooring. 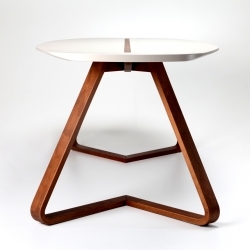 Lif, table with a bent plywood base, designed by Mete Erdem from Turkey. Omar Chamorro C.'s obsession with vertical lines. 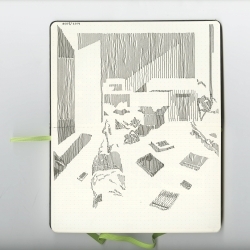 Drawing everyday life situations and scenarios in order to explore a new technique. 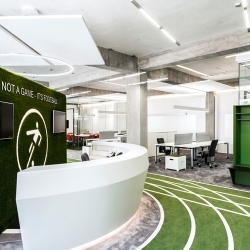 Munich-based architecture firm TKEZ designed a 1,400 smq office for Onefootball inside an old factory building in Berlin, Germany. 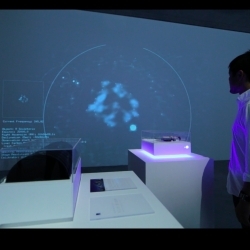 ALMA MUSIC BOX is a collaboration project with the National Observatory of Japan + ALMA Telescope + PARTY NY. The music box plays the data of a dying star 950 light years away. 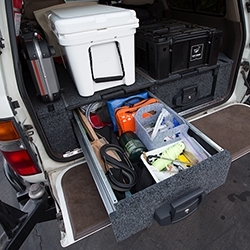 FEATUREDThe ultimate modular drawer system for your truck/SUV. ARB Outback Solutions Modular Roller Drawers have transformed the organization of the NOTFZJ80! 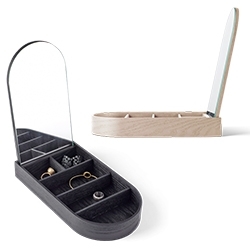 The drawers roll out, the tops roll out for easy access, and the sides fit perfectly. 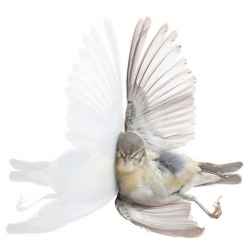 Miranda Brandon's Impact capturing birds the artist found intact following collisions as a volunteer for the Audobon's BirdSafe program. 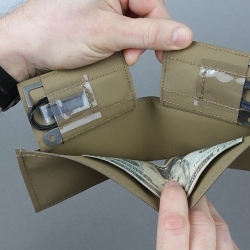 The ITS Hypalon Concealment Wallet is 100% made in the US from laser cut hypalon and features some discreet pockets for concealing entry and escape tools. Entry / Escape tools and RFID Wallet Sleeves are sold separately. 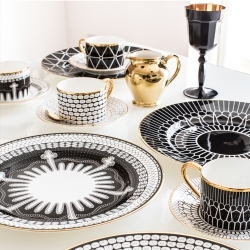 Clean lines and sharp detail on these histological plates, cups & saucers represent the otherwise dirty job of digestion. Part of a unique range of fine china illustrating the anatomy and histology of the digestive system. 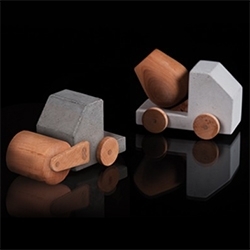 Studio Paulsberg Petite Bétonneuse and Petite Rouleau Compresseur: wood and concrete construction toys. 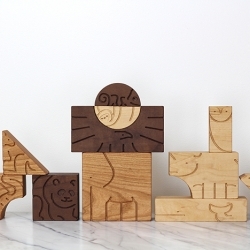 'Aminal' Blocks by Studio DUNN. 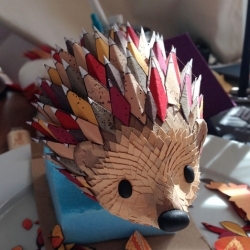 Heirloom quality wooden toy encourages imagination and adventure! 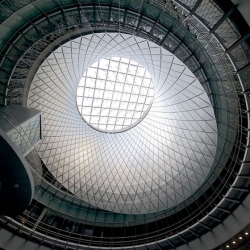 Grimshaw's Fulton Center in Lower Manhattan the new New York subway station and retail space. 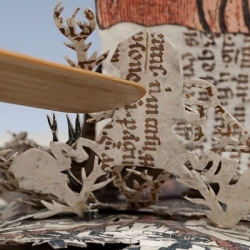 Beautiful paper sculptures from paperwolf. 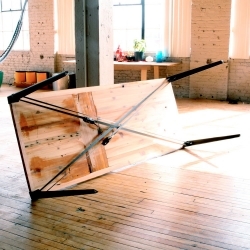 The Floyd Utility Set that turns a flat surface into a heavy-duty table with ratchet straps! VIDEOBeautiful ad for Wildlife Aid "Saving Harry". 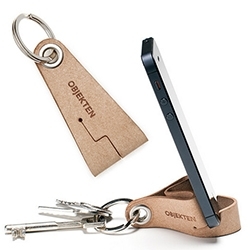 Objekten Systems Keyring by Alain Berteau - The classic leather key ring with a smart and subtle cut offering smartphone docking capability. 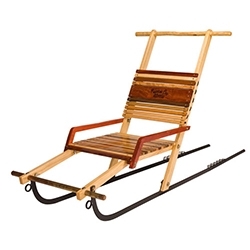 Produced in recycled, bonded leather. Made in Belgium. 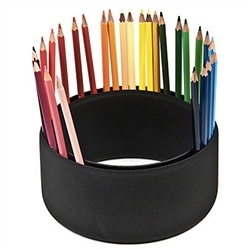 Objekten Systems Matt Ring by Sylvain Willenz - Love this concept for organizing pencils and pens visibly. 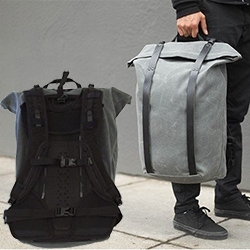 Made of black soft plastisol, with a unique and surprising rubber quality touch. Made in The Netherlands. 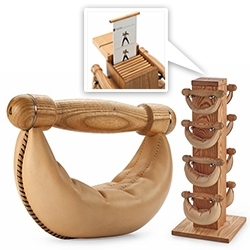 A tower of Wood/Leather Dumbells - complete with cards of exercises inside the tower. VIDEOCymatics by Nigel Stanford visualizes audio frequencies through a series of experiments. 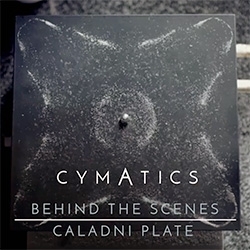 The chladni plate with salt on it produces stunning patterns as the metal resonates with the notes from the music. 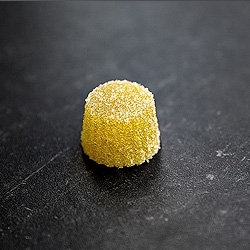 Extra virgin olive oil gummy, also called edible gold. Underoos are back? 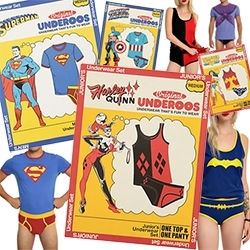 Hot Topic seems to have brought back saturday morning cartoon underwear... now for adults! 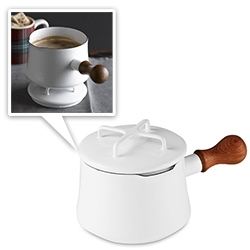 Dansk Kobenstyle's mid century enamelware pots have been making quite a comeback - Williams Sonoma has an exclusive on the adorable white 1qt size! Love the teak handle and that the lids can double as trivets! 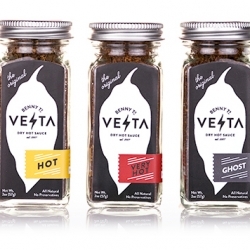 Benny T's Vesta - The Original Dry Hot Sauce. And by 'original' we mean it's the only one that exists. 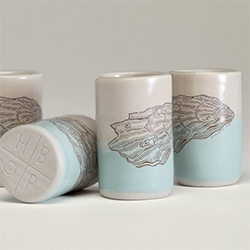 Handmade in Raleigh, North Carolina. 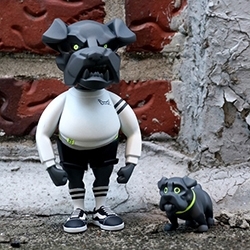 unbound25 Genetic Code - a limited edition set of resin figures including 5.5” Rough Bulldog and Baby Bulldog. 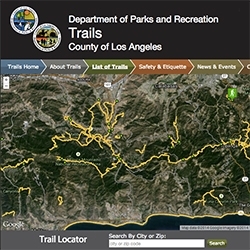 Los Angeles County Trails - finally a nice easy way to search and view the various trails! Also easy guide to see which are dog friendly. 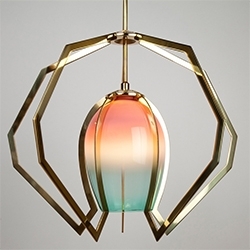 Vise Light by Bec Brittain - "Vise captures a hand-blown glass globe within brass claws machined to follow the gentle curvature of the glass." In Paris, France, the agency Spray Architecture imagined the premises of Thai boxing club "La belle Equipe". 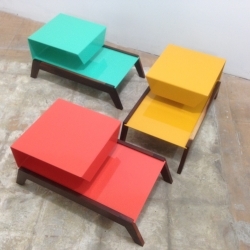 Low-Low Tables- Side tables design and make by MAL&MAR young designers from Puerto Rico. 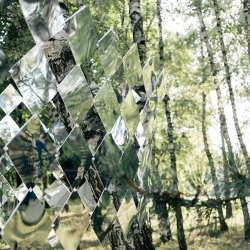 They make a combination of local timber and the work of aluminum. Epidermis, range of leather goods debossed with the pattern of human skin. The intricate cellular pattern of the epidermis as seen through a microscope is imprinted into the leather, giving these products a unique and beautiful edge. 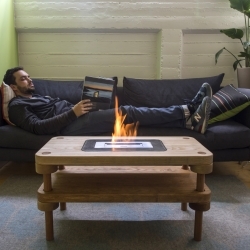 The Fireplace Coffee Table by Designer Jonathan Odom. See how to make your own. 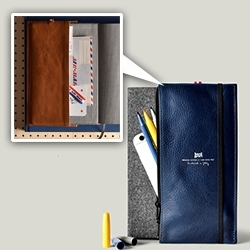 Hard Graft Trip Case and Notebook - A great multipurpose leather pouch that slips right on to a standard moleskine type notebook for all your pens, iPhone, plane tickets and more! Notebook wallet? 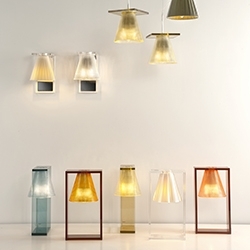 New wall and hanging lamps in the 'Light Air' family by Eugeni Quitllet for Kartell. 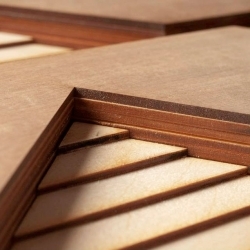 Étagé surfaces, wood tiles from Atelier Anthony Roussel. 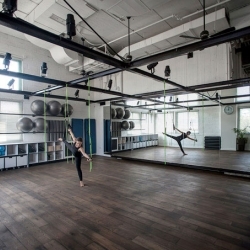 The Powerhouse KL Pilates Studio by Ramat HaSharon of Jacobs-Yaniv for paralympian Keren Leibovitch. 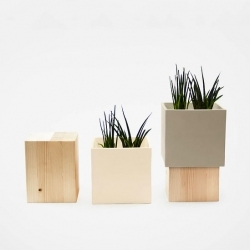 Alessandro Di Prisco's duo combines a ceramic cube and block of fir wood to form a beautiful planter. 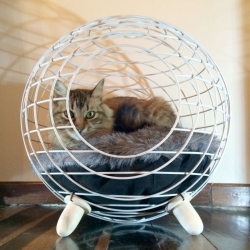 Modern cat beds from Lord Paw. 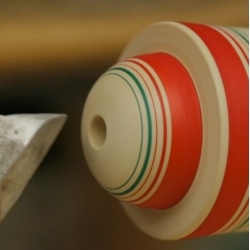 VIDEOA look at the Noruko method of Kokeshi doll-making. 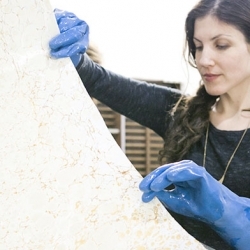 The making of beautiful marbled wallpaper by Calico. 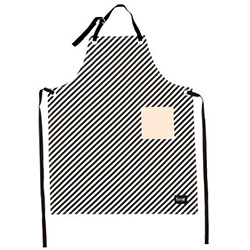 Ferm Living Black and White Striped Apron made of 100% organic cotton. 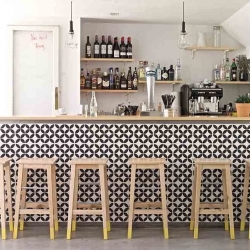 The Hat, new designer hostel in the center of Madrid. 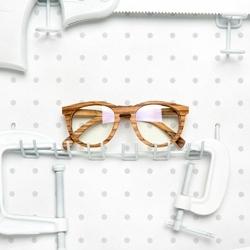 Shwood releases a new collection of wood, titanium, and acetate prescription eyewear! 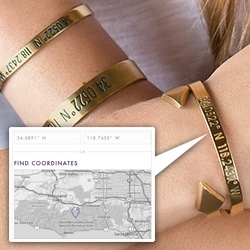 Coordinates Collection - engrave the coordinates of anywhere on jewelry... for the ultimate treasure map/key? 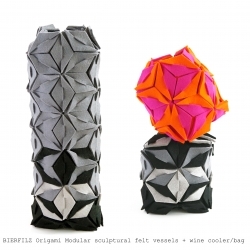 BIERFILZ Origami Modular sculptural felt vessels + wine cooler/bag. 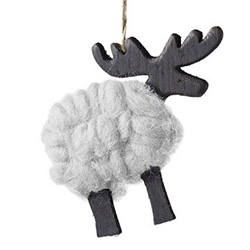 The perfect X-mas decoration and gift, by Illu Stration by Mary-Ann Williams. 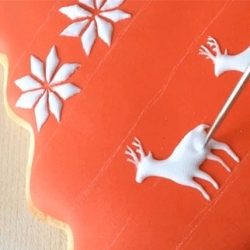 VIDEOImpressive holiday cookie decoration from Amber Spiegel complete with tiny reindeer. 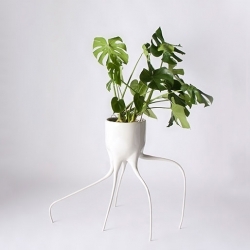 Monstera pots by Tim van de Weerd. Form meets function as Trakke x Timorous Beasties launch their new collaboration, using the worlds first digitally printed waxed cotton! 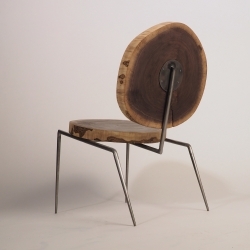 Lounge chair made of reclaimed walnut and steel. 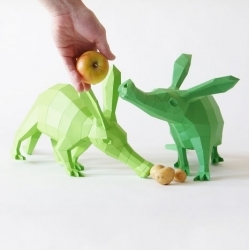 Designed and made by Daniel Kaufman, a student at Carnegie Mellon University.